Old alders line narrow buffers along Maxfield Creek, the site of one of our newest restoration projects. 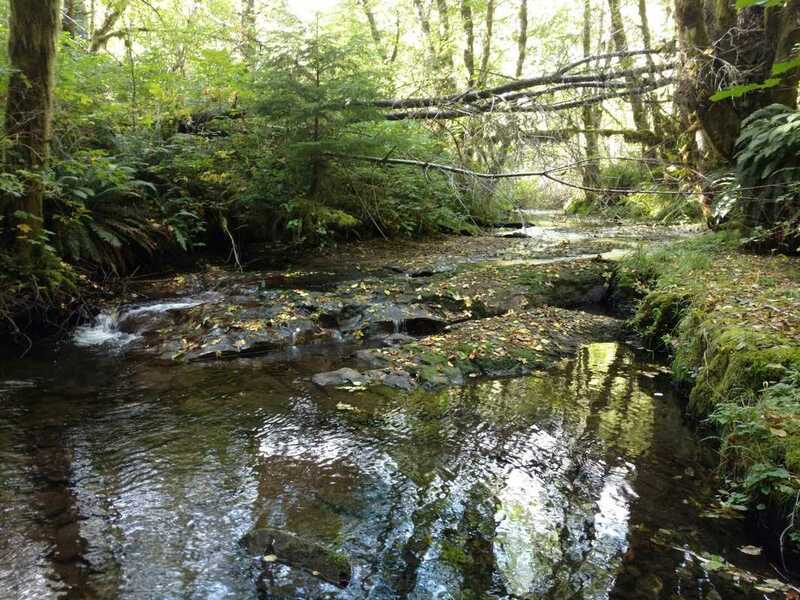 patchy and open streamside habitat that doesn’t provide effective corridors for wildlife or enough shade to keep water temperatures cool enough for salmon and trout recovery. The non-native understory also prevents native species from regaining a foothold, meaning that intervention is necessary to stop this area from deteriorating further and put it back on the road to recovery. ​The Maxfield Revegetation project aims to restore the health of a two mile stretch of this creek and 26.5 acres of neighboring riparian forest by removing invasive species, planting native trees and shrubs, and equipping the landowners themselves with the tools and knowledge they need to protect their creek’s health beyond the lifespan of this project. Stay tuned for more news as we kick off this exciting new project in the next few months!